In March of 2016, Accudyne Systems, Incorporated celebrated 20 years of delivering engineering ingenuity and service to the aerospace, semi conductor, and chemical processing industries. In addition to these main-line industrial sectors, Accudyne has developed one-of- a-kind equipment for several clients with diverse needs ranging from an instrumented infant test device to a machine that produces hail balls for testing building and vehicle damage in wind tunnels. Accudyne prides itself on providing unique solutions to each of our customers across a very diverse client base. There are no product lines or model numbers for our machines – each one is carefully conceived, designed, and constructed to meet or exceed a unique set of requirements. Accudyne’s Quality Management and Product Realization Processes ensure that Accudyne’s clients are delighted with final products that have been delivered on time, on budget, and have fit &amp; finish worthy of the Accudyne Systems, Inc. brand. Accudyne has a core competency in Supercritical Fluid Processing Equipment design and manufacture. 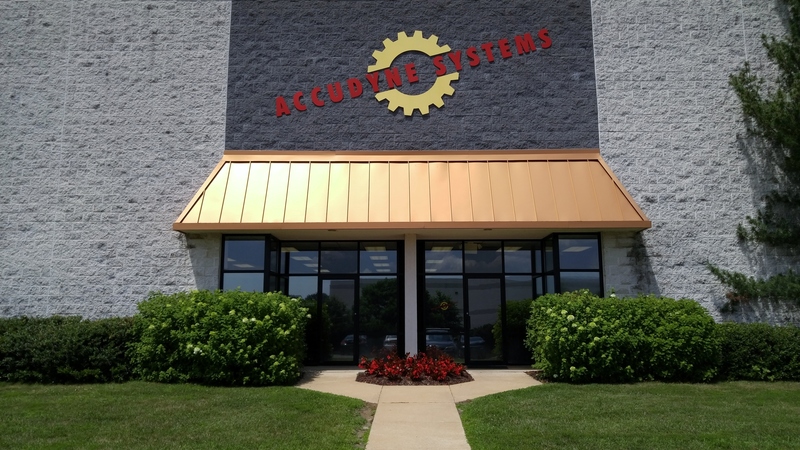 To contact Accudyne directly to discuss your needs, please call 302-369- 5390, or visit our contact page. Going to AeroDef ? Don't miss us ! Please come visit us at JEC2019 ! Accudyne Systems invests in expanded manufacturing capabilities. We're heading to Dallas for CAMX2018 ! Established in 1996 through the merger of two respected engineering consulting firms in Delaware.